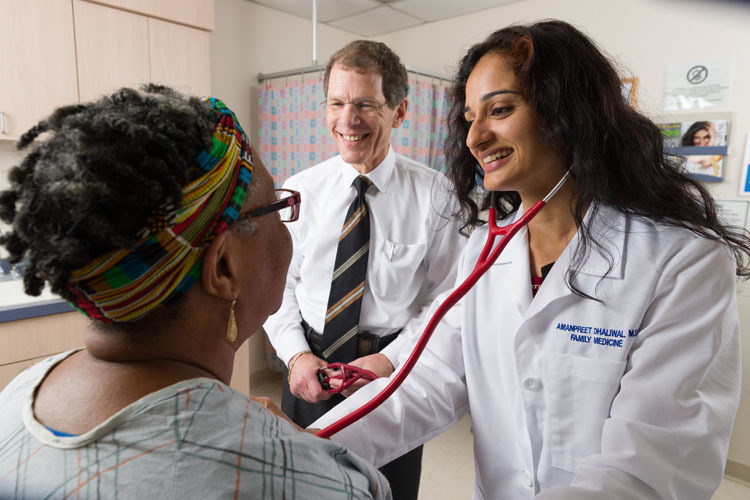 Our curriculum is designed to teach residents how to practice in a Patient-centered Medical Home (PCMH). The Family Medicine Center (FMC) functions as the centerpiece for the curriculum and has been recognized as an NCQA Level III PCMH. 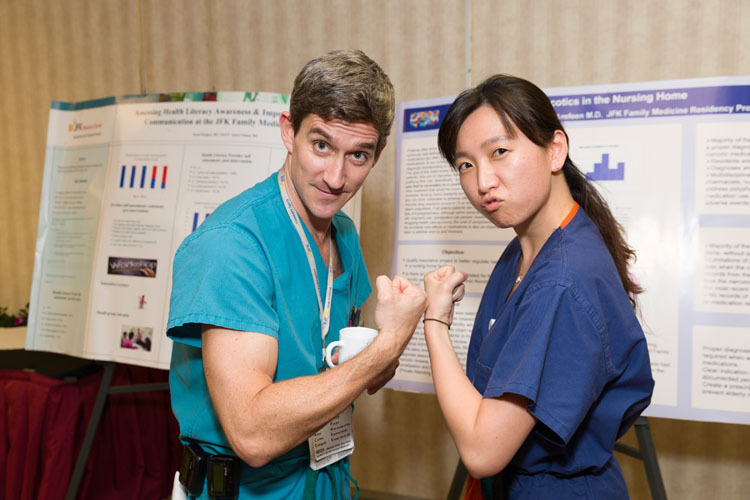 During the course of the three years, residents spend an increasing amount of time in the FMC on their Longitudinal Family Medicine Curriculum rotations learning practice management, evidence based medicine, performance improvement, advanced interviewing skills, and team leadership skills. Additionally, residents are taught how to conduct group medical visits for prenatal and Diabetic patients as part of our Centering program. 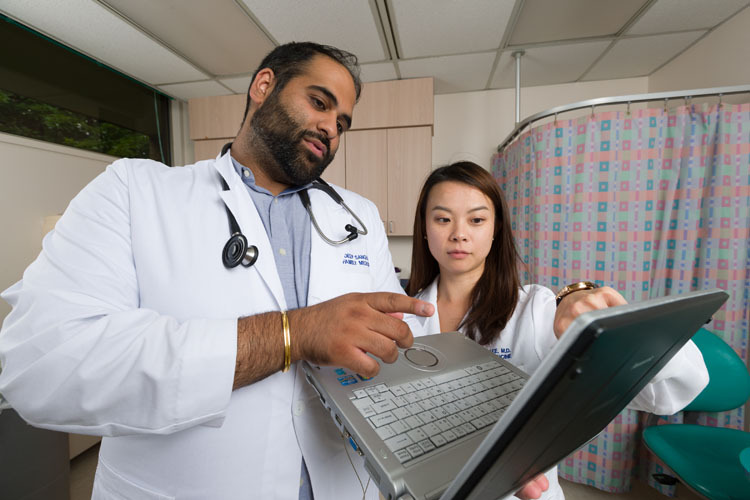 The Longitudinal Family Medicine Curriculum also covers Dermatology, Medical Subspecialties, Surgical Subspecialties as well as experiences in Community Medicine, Alternative and Complementary Medicine, and Psychiatry/Addiction Medicine. All residents receive training in our Osteopathic Manipulative Treatment (OMT) Clinic, as well as training with point-of-care ultrasound technology.